Since then the quaint boulevard has emerged as the pinnacle of bohemian chic—with a price tag. Artists’ studios sit next to concrete lofts that overlook whitewashed bungalows on a stretch that runs from Main Street to Washington Boulevard. If Venice’s founding father, utopian developer Abbot Kinney, were parking his gondola today, he’d have to valet it. 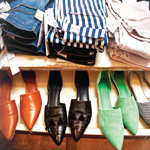 Jenni Kayne frocks, Rag & Bone boots, and artfully distressed jeans reside at Jeannie Lee’s latest style outpost, which also carries swimsuits, sunglasses, and other beach-appropriate offerings at prices lower than at her West 3rd Street location. 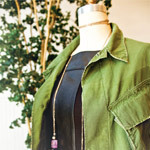 » 1508 Abbot Kinney Blvd., 310-450-6218 or satineboutique.com. There’s often a wait at Casey Lane’s casual but stylish restaurant, but you can perch at the bar or at one of the lively communal tables. The menu boasts largely seasonal fare along with such perennial favorites as the lamb chop with sweetbreads. 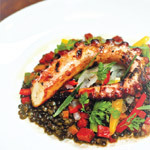 » 1633 Abbot Kinney Blvd., 310-392-6644 or the tastingkitchen.com. The C2 Gallery features wildlife and nature photography year-round. Each month the popular “First Fridays” turns the area between Venice Boulevard and Waterman Avenue into a gathering of food trucks and live bands. Parking has long been a challenge; for $10 you can forgo the meter hunt for valet lots near the Brig and in the alley next to Colcha. Opened this year by chef Greg A. Daniels, this latest arrival on a block of culinary high-flyers is packed most nights. The pristine restaurant serves corn bread fritters, oysters, and a snappy pea toast as well as fish-and-chips that would pass muster with an Englishman. » 1616 Abbot Kinney Blvd., 310-396-9333 or saltairvenice.com. 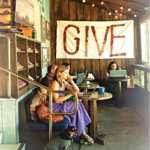 The flagship operation of One for One shoe guru Blake Mycoskie houses a café that’s decorated with his company’s signature footwear. Check out the lace-up wedges and other variations on the canvas kicks; when you purchase a pair, free shoes are sent to a needy child. » 1344 Abbot Kinney Blvd., 310-314-9700 or toms.com. This is the place for Pantone folding chairs, biomorphic necklaces, a machine that makes ice pops, and other esoterica. 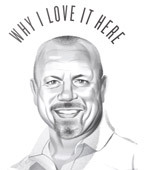 Owners Andy Griffith and Rose Apodaca define their aesthetic as “Global Design. Edited.” » 1121 Abbot Kinney Blvd., 310-392-9128 or aplusrstore.com. Hallo, Amsterdam! 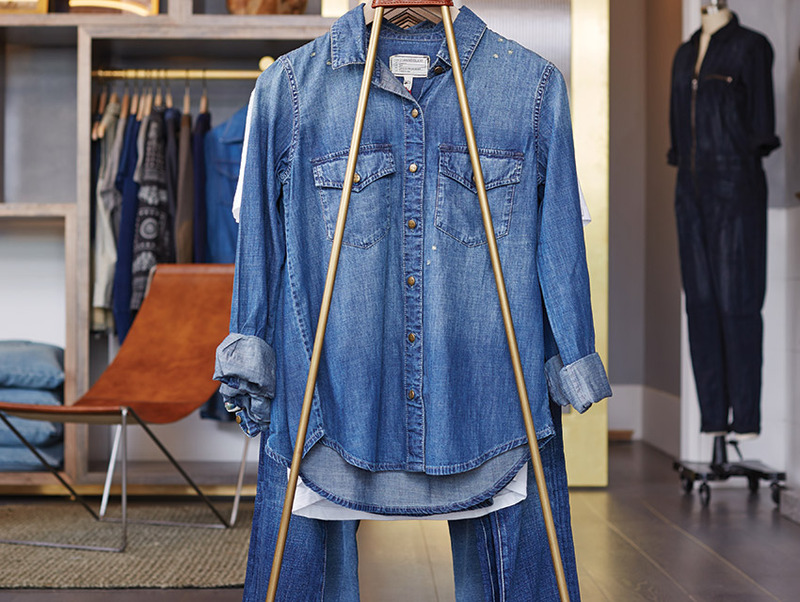 The sunny space stocks the Dutch fashion line’s clothing for men and women. Vibrant prints adorn skinny jeans as well as button-down shirts. » 1340 Abbot Kinney Blvd., 310-584-7593 or webstore-us.scotch-soda.com. Tarot card readings. Psychics. 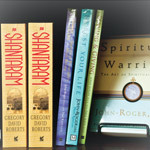 Books that answer the question “Why meditate?” They’re all here. Beyond the crystals, neti pots, and moldavite bath salts lies a patio where “Divine Yoga” happens every Saturday. » 1624 Abbot Kinney Blvd., 310-399-7070 or mysticjourneybookstore.com. Felix Navarro’s eco-friendly nursery caters to urban gardeners who favor succulents. Spiderlike air plants hang in glass globes above architectural containers filled with tigereye stones and colorful sand. You can even book an in-store planting party. » 1140 Abbot Kinney Blvd., 310-907-5019 or the juicyleaf.com. The menu of cold-pressed juices reads like a hippie’s medicine chest: Master Cleanse, Clarity Detox, Antibiotic Tonic. For something you can chew on, the café serves chicken kabob sandwiches and tacos topped with Persian cucumbers. 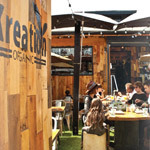 » 1202 Abbot Kinney Blvd., 310-314-7778 or kreationkafe.net. Everything is for sale at designer Karyn Craven’s flagship boutique—from the quirky glass tumblers and vintage eyeglasses to leather jackets and midcentury wood cabinets. Plans for a fine jewelry line are also in the works. 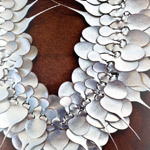 » 1627 Abbot Kinney Blvd., 310-399-1920 or burningtorchinc.com. The bar’s been around for 34 years. I’ve worked here for 22. In 2006, the last of the original owners, Walter Schneider, passed away and left the bar to four of us. It is named after a fish in Cabo—quite catchy for a gay bar. When I started, people couldn’t find Abbot Kinney. The street has definitely upgraded for the better. The crowd has changed a lot, too; it’s younger, up-and-coming. I live around the corner. I walk to work because I enjoy a cocktail once in a while. Lindsay Lohan walked into the bar once and fell out. Pink comes in occasionally.